The Chuck Jones Gallery is dedicated to the art of the animated film which makes it the perfect location to host an exhibition of Nancy Cartwright’s work. Cartwright has spent decades entertaining TV audiences of all ages as the voice Bart Simpson in The Simpsons. She also brought Mindy to life in Animaniacs, Gloria in Richie Rich, Rufus the Naked Mole Rat in Kim Possible, and Chuckie in Rugrats. Cartwright also provided the voice of the character Earl Squirrel in Thomas TimberWolf, Chuck Jones’ final creation. 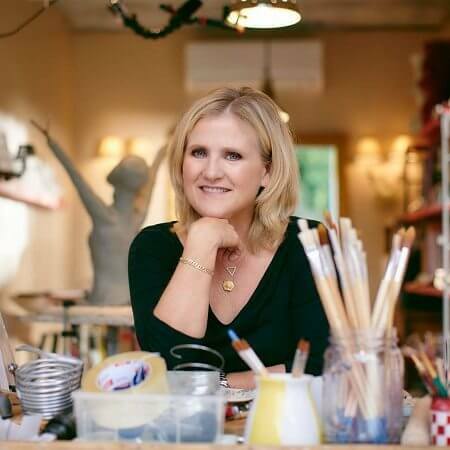 Paintings and sculptures created by Nancy Cartwright will be on display at the event which is just blocks from the San Diego Convention Center where Comic Con will be held July 21-July 24. Cartwright’s sculptures of Bart Simpson as ‘Bartman’ are currently on display at USC’s Cinematic Arts Complex and outside the News Corp building in New York.